This is the first half of my gift to Wickerbag: the adults. 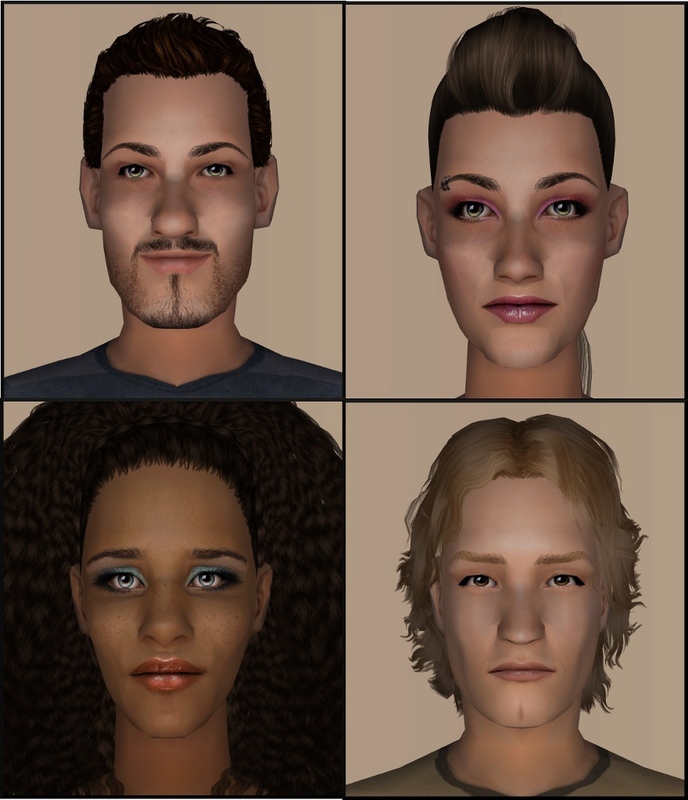 Meet (clockwise from top left) Chaz and Roxanne, the twins, Drew, and Julie. For all: They all use one of HP's Natural Beauty: Idolatry of Flesh Redux skintones, if you don't already have them all you should Are the only skins I use. Lubberly! I've been looking forward to these ever since I saw them in chat. Oooh, they all look great, Jones! So much character in their faces - and prettiness too. I think my favourite is Chaz. He's a cutie!